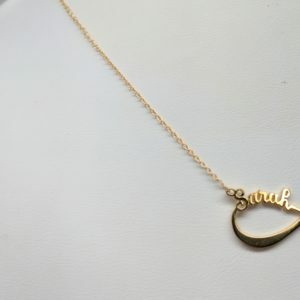 Design and have made you very own nameplate! 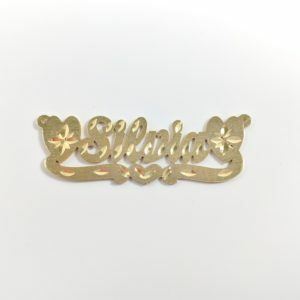 This listing is for a custom nameplate designed in solid 14KT gold consisting of two plates. Double plate means that this name plate will be made of two separate singular nameplates and will then be soldered together. We can rhodium plate the top like the image you see or it can be all yellow or you can order in 14KT white gold. 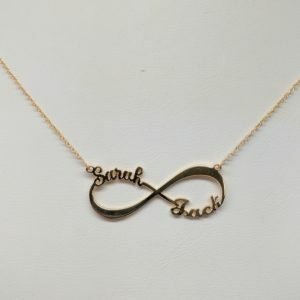 This design does not include a chain. A chain must either be chosen separately or you can purchase this with two small bails one either side to pass through a chain you already may have. 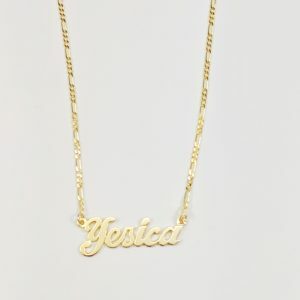 Custom designed 14KT gold high-polished single nameplate. 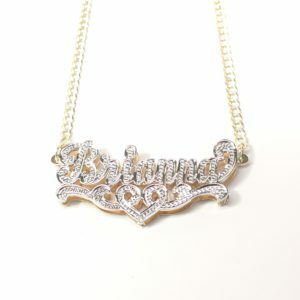 This nameplate will be made from your choice of solid 14KT yellow, white or rose gold. 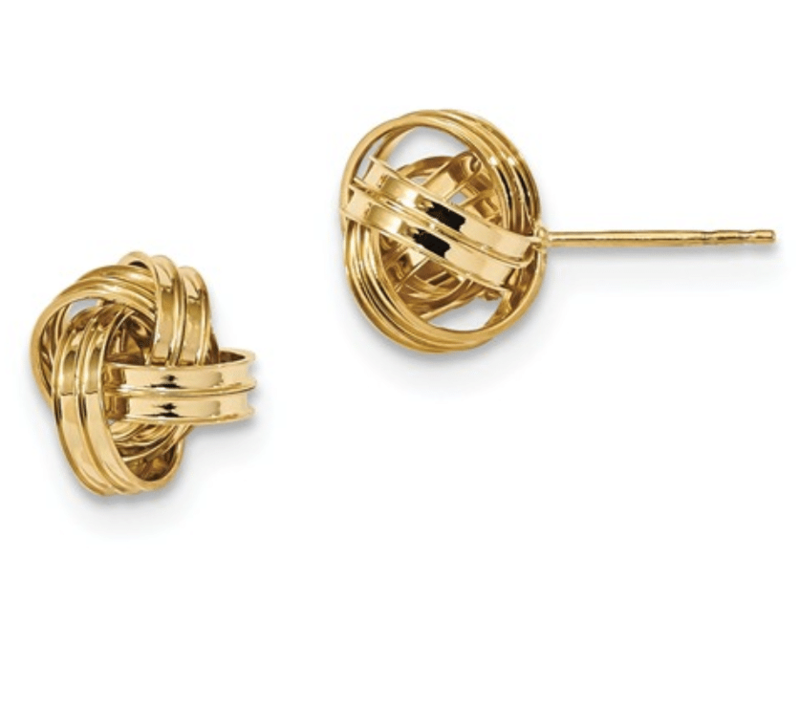 This item can also be made in sterling silver 925, 18KT, & platinum. 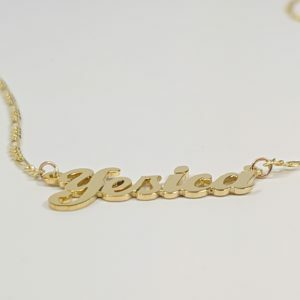 Custom 14KT gold nameplate design that will be plain, all high polished like the photo shown. 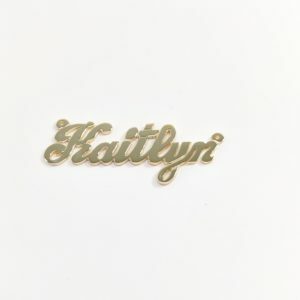 This nameplate will be made from your choice of solid 14KT yellow, white or rose gold. 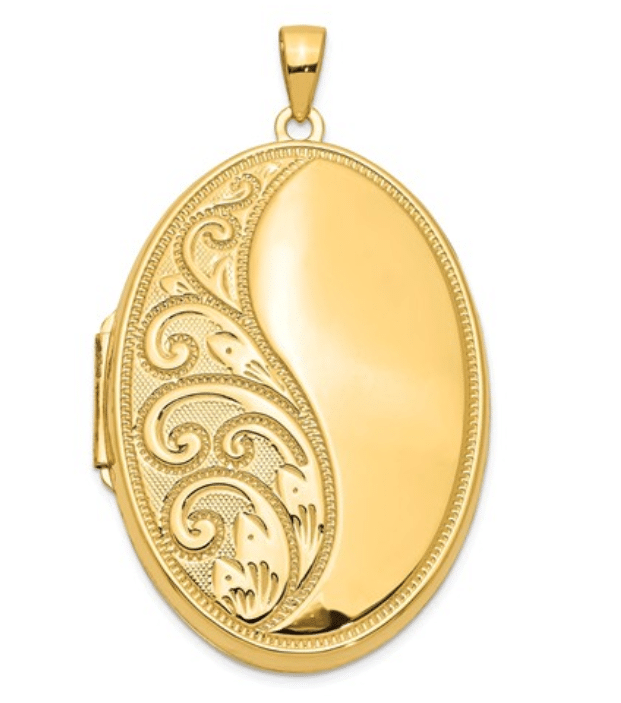 This item can also be made in sterling silver 925, 18KT, & platinum. 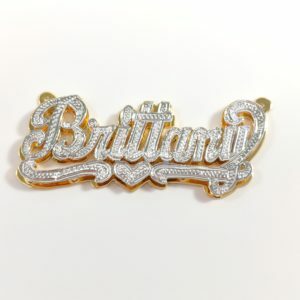 Custom designed 14KT yellow gold nameplate that will have the first letter and tail rhodium plated. 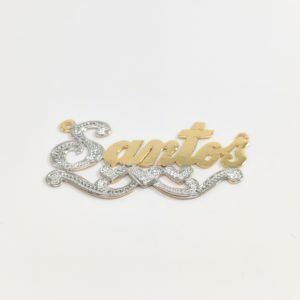 This name plate will be made from solid 14KT yellow gold. Custom designed 14KT gold double heart nameplate with a satin finish. 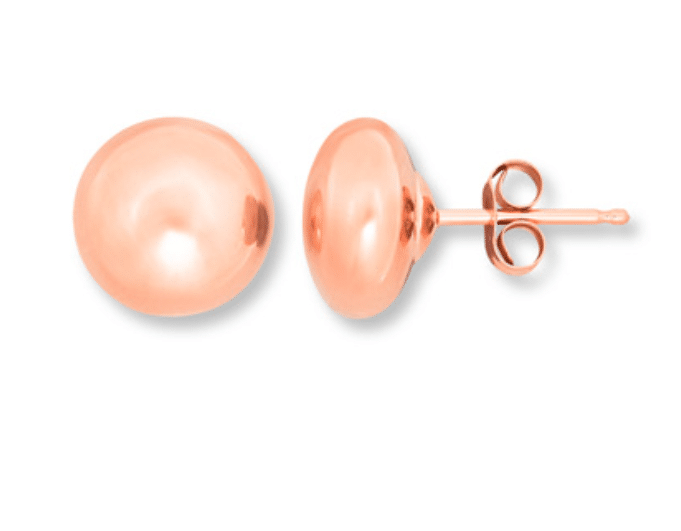 This nameplate will be made from your choice of solid 14KT yellow, white or rose gold. 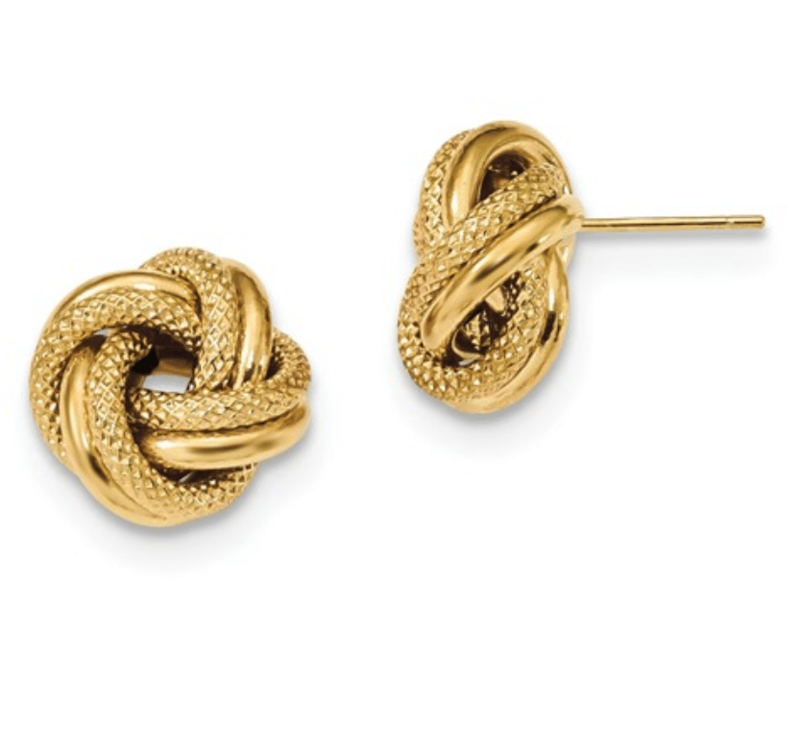 This item can also be made in sterling silver 925, 18KT, & platinum.